India is a popular place for many ESL teachers to volunteer teaching English, and this may make an ESL job search in India more difficult. However, with the right skills and attitude, it is possible to find a paid teaching job in India with a TESOL certification. 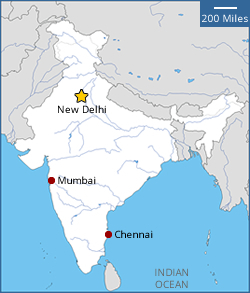 The ESL market in India is limited. The majority of schools do not have the funds to hire native-speaking English teachers, and thus many positions are strictly volunteer. Most of the paid English teaching jobs in India are found in the private sector. The peak hiring season for teaching English in India has not been set to any particular time in the school year; this is due to the diminished role that the school system has in the Indian ESL market. Most of the English teaching jobs in India are offered without any wages attached to them. With English being an official language in India, there are plenty of Indian citizens who are qualified to teach English. Although difficult, some ESL teachers have managed to find paid teaching opportunites. Below is a list of online English resources that may be of use to ESL teachers hoping to teach English in India. Students at the British School, New Delhi are offered programming from Kindergarten through to Grade 13. The private school first opened in 1963, and currently has a student base of over 700. Arguably known as one of India's premier private schools, Daly College has been in Indore since 1869. The school has been recognized with multiple educational awards. Since it's beginnings in 2000, the International School Bangalore has become one of the most prestigious and expensive private schools in India. Tuition at this private school usually averages $12,000 a year. Some ESL teachers have found work teaching English as an in-company teacher. These positions are usually located within call centers. The main purpose of these ESL jobs is to help Indian workers have an American accent on the phone. There is an abundance of ESL resources for teachers to help teach English as a second language; therefore, finding resources that meet specific teaching needs may be difficult. Some examples of the available teaching resources are listed below. - In many regions of India, religion plays a large role on how a group functions. It is important for English teachers to dress and act conservatively. 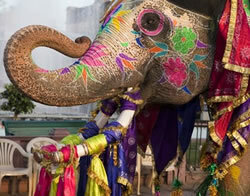 - There are very few paying ESL jobs in India, but plenty of volunteer opportunities. Sometimes it is best to simply visit an Indian school and meet the staff and students. This could be an excellent way to find a position. - Due to the small TESOL market, many English teachers will need to save some money before they plan on coming to India. - Indian weather can sometimes get hot, but wearing shorts in public is frowned upon. Typically, men are only expected to wear shorts when jogging; women should wear jogging pants. Local tailors markets are great places to buy light, cotton pants that will help you keep cool in the warmer months. - Special care should be taken not to wear shoes indoors. Never point the tips of feet at another person, and wash hands immediately after making contact with feet. 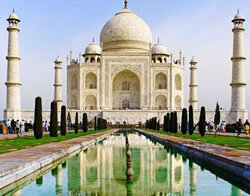 - Consult a doctor about the vaccinations recommended to travel to India. ESL teachers traveling to India will require an Indian visa. Filing for an Indian visa can be done at an Indian embassy or consulate office before leaving home. The visa application form can be downloaded from the Internet a https://indiavisa.travisaoutsourcing.com. Applicants have the ability to track the processing of their visa application in real time via the website. - Employment Visa - ESL teachers will need an employment visa to teach in India. This visa is meant for those wishing to work abroad for an Indian business. - Tourist Visa - This visa is designed for people planning on visiting India, but not teaching there. The visa will expire after six months. - Business Visa - Those wishing to make a short-term business trip to India will need a business visa. - Student Visa - The student visa is meant for foreigners wishing to live in India to pursue their studies. 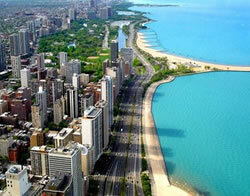 - Transit Visa - Traveling throughout India will require a transit visa. In addition to the visas listed above, there are visas for people of Indian origin. Applications typically take five business days to process. - Registration information of the Indian company the ESL teacher will be working for; application fees typically cost around $200. Please note that the Indian visa application information was current at the time of publication, but regulations and fees are subject to change. Please refer to https://indiavisa.travisaoutsourcing.com/ for the most current information. Embassy of India in Washington D.C.